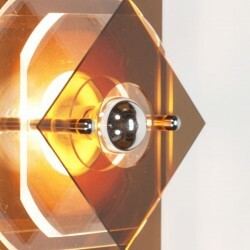 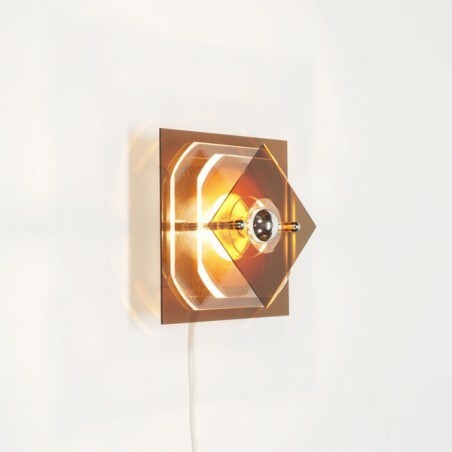 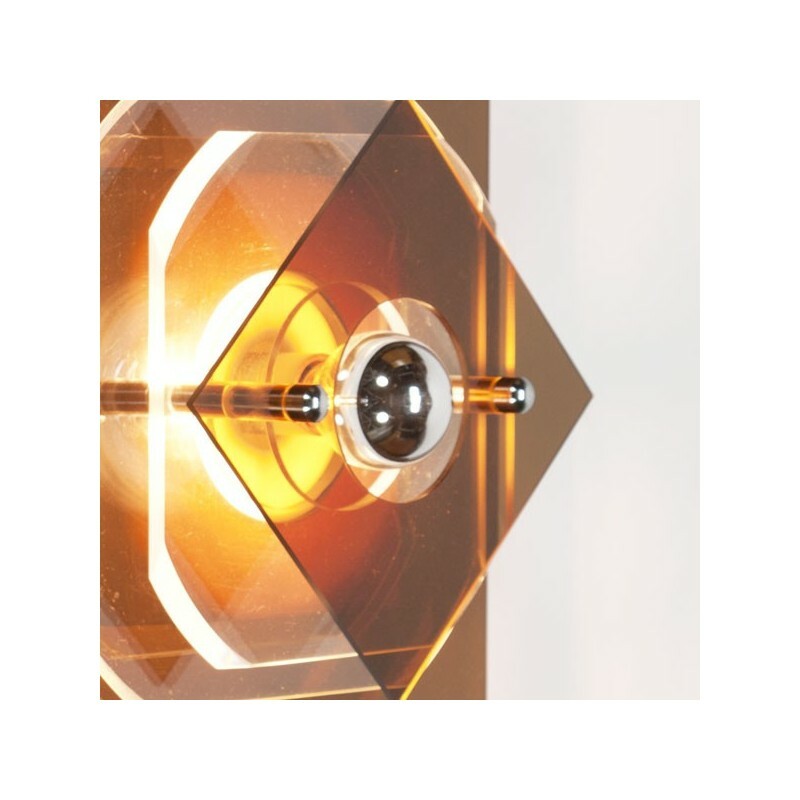 Plexiglass wall lamp from the seventies. 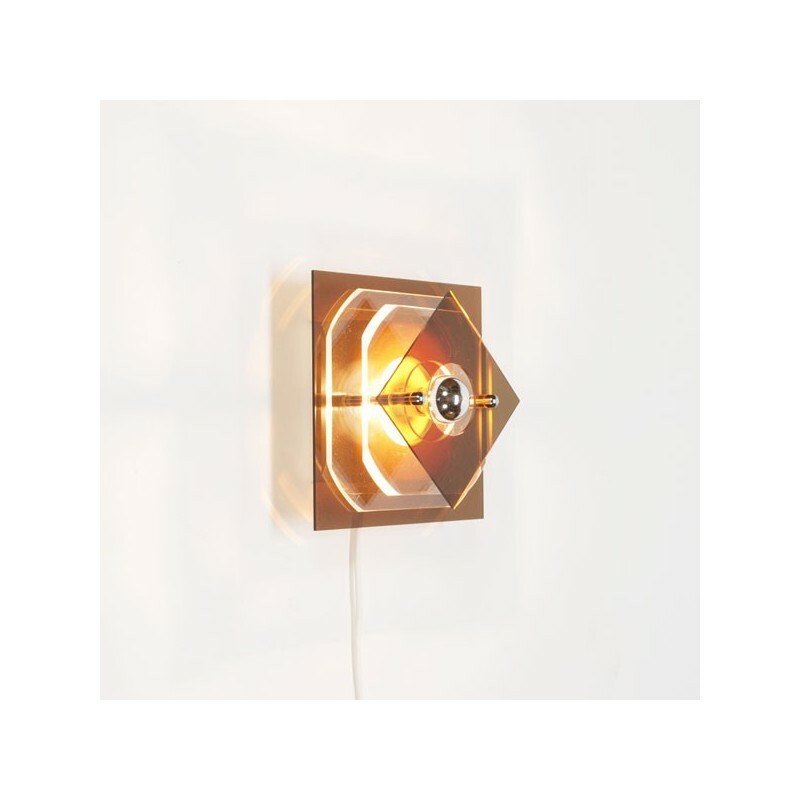 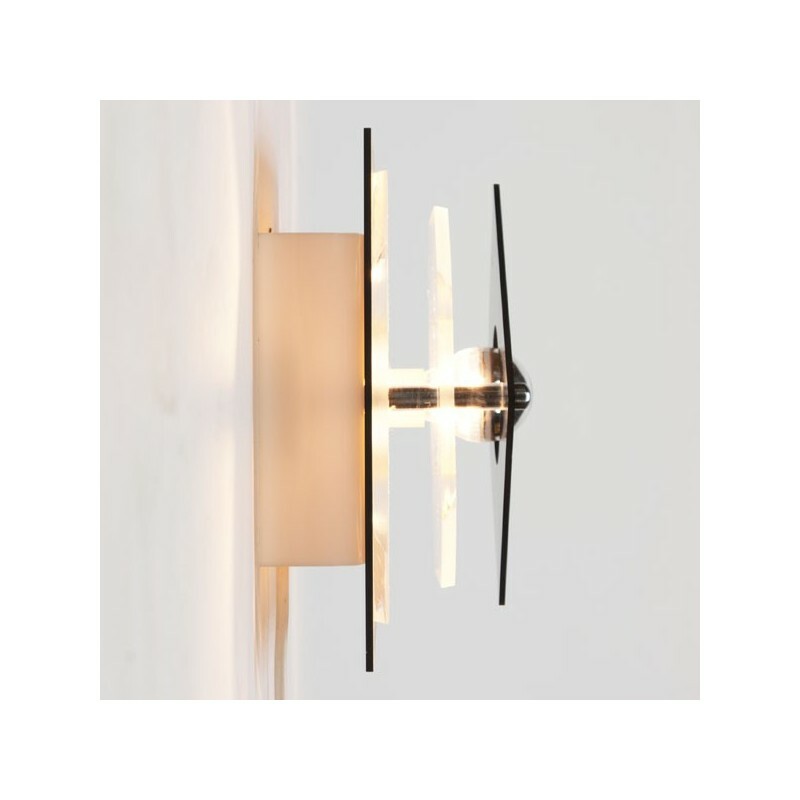 The wall lamp gives a beautiful, pleasant light. 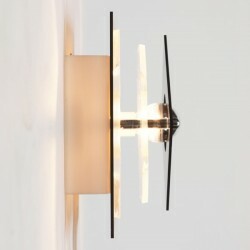 The lamp is in a good condition, the size is 22,5 cm wide and high.